Part 2: For the IP industry to remain healthy it has to constantly innovate, but it’s getting harder. 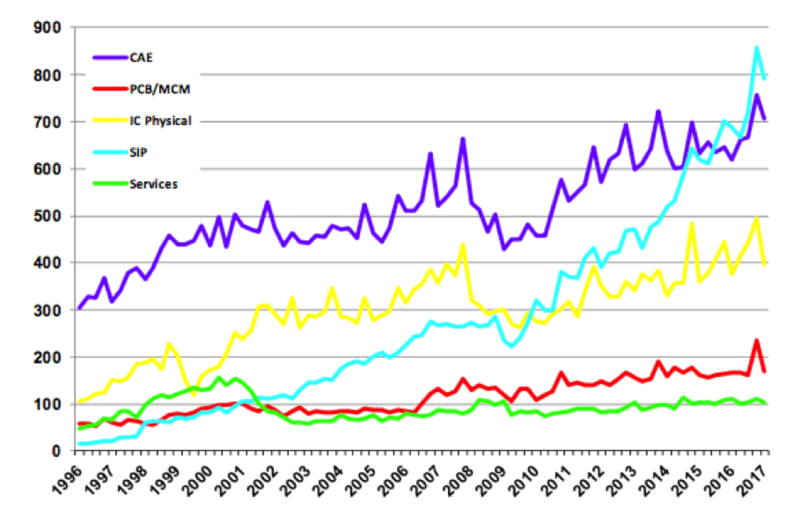 The revenue from semiconductor IP has risen steadily to become the largest segment of the EDA industry. Industry forecasts expect it to keep growing at a CAGR of more than 10% for the next decade. Part one of this article examined the possibility those forecasts are wrong and that large semiconductor companies are likely to start bringing IP development back in house. This is a minority viewpoint, and one not embraced by much of the semiconductor industry. A Unicorn SoC is a complex SoC that ships in excess of 100 million units. One of the challenges for the IP industry is the business model. When IP is developed in house, it is an engineering cost. When IP is licensed, there may be both an engineering cost, which is the license fee, plus a manufacturing cost for many pieces of IP, which is the royalty. ARM is the shining star in the IP business because it is the largest provider of IP and it is quite profitable. Is RISC-V, an open source processor, a challenge to that? The IP industry had to change in the past, and it will continue to evolve in many ways. Semiconductor companies cannot afford to put IP companies out of business because their success relies on them. While each may want to take a larger part of the pie, at the end of the day they are business partners. IP companies that invest more in R&D will produce better products and will demand higher prices for it. IP has grown to become the largest segment of EDA revenue, but is it sustainable? Experts at the Table, part 1: Rising complexity, new technologies, and the challenges of keeping track of and protecting intellectual property are straining the ecosystem. The biggest advantage in advanced packaging is still missing, but that’s expected to change. Revenues for semiconductor IP are expected to grow, but the easy money may have already been made. Developing IP is getting tougher on several fronts.